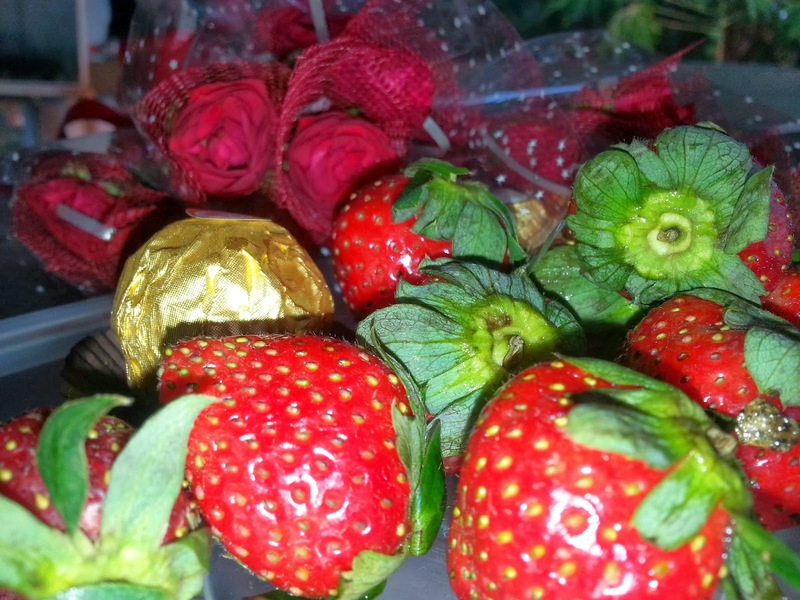 The day after heart's day I had a joyous time devouring luscious strawberries from the hubby. I had a pretty hard time stopping myself from eating 'em before taking photos. The sun was coming out setting the mood for my daily walk. 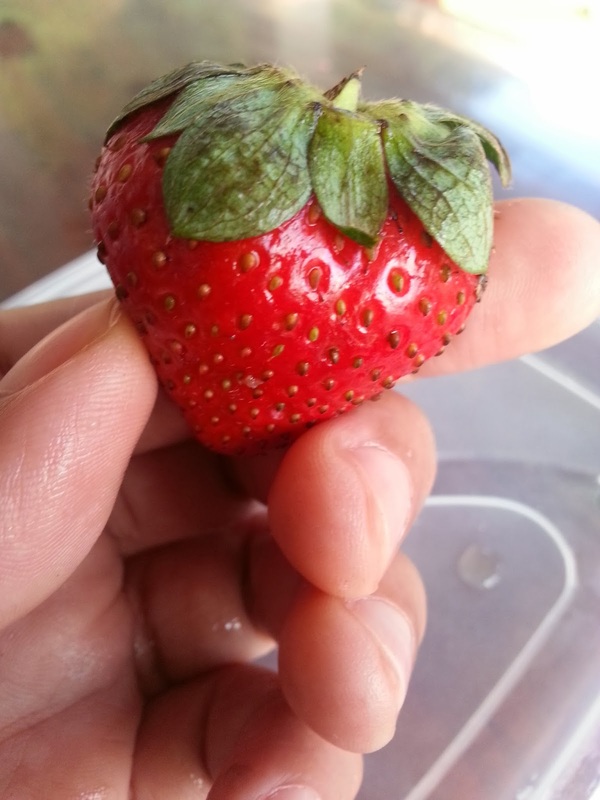 The berries were vividly red and almost perfectly heart shaped! I spent an enormous time taking in their beauty with my naked eyes and then with my smartphone's lens. 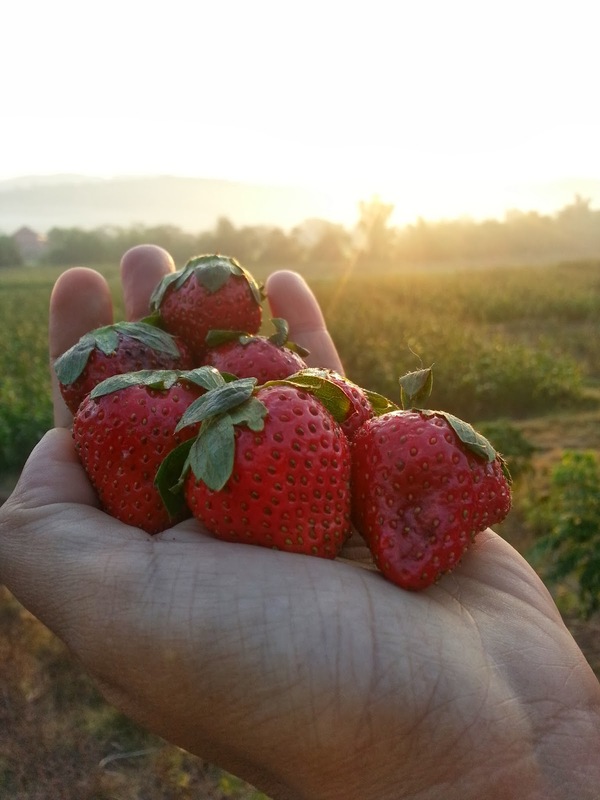 What is there not to love about strawberries? They are rich in antioxidants being packed with Vitamin C! Immune boosters and heart healthy treats they most certainly are! They were the perfect match to the hubby's gift, a bouquet of mini Roses.